Prospects who are ready to buy straight away can be offered a free quote or consultation, but what about those who aren't ready? If you don't have a free offer to establish a relationship with your visitors, you waste a lot of advertising spend. An effective Lead Magnet works to convert more of your traffic into leads. 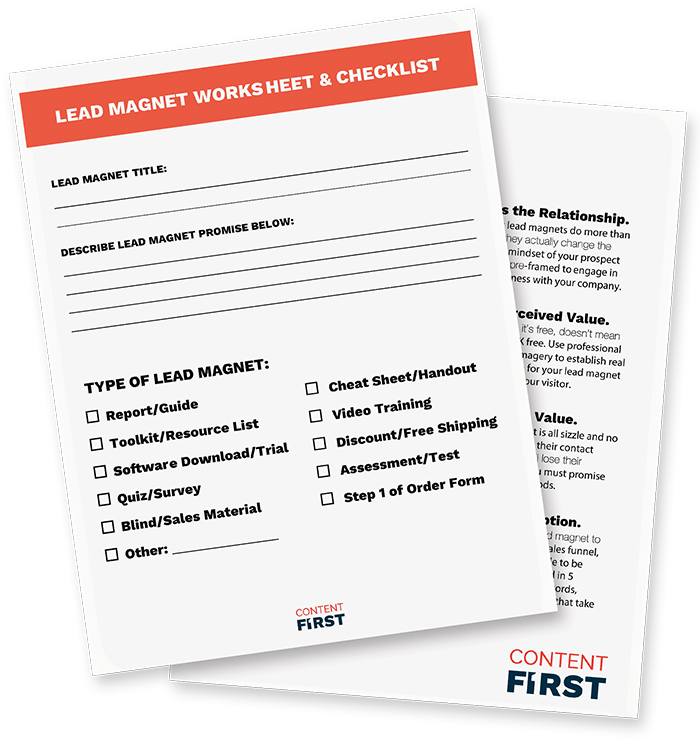 Use this worksheet and checklist to help you create the ultimate lead generating free offer.